The Yeti. She’s a beautiful beast. 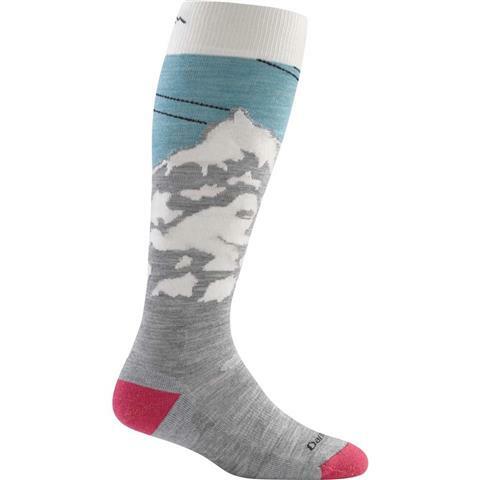 This burly, all-mountain performance sock has the perfect amount of cushioning along the bottom of the foot for extra support and comfort. Over-the-Calf height is ideal for skiing and riding in deep conditions while fine gauge Merino Wool provides legendary warmth without the bulk. And since Merino Wool is naturally antimicrobial this sock repels bacteria and odor. If only everything in life was this simple. Still made in Vermont. Guaranteed for life. 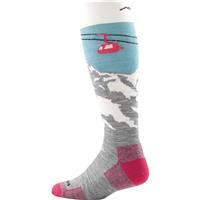 Great socks, warm yet breathable. These socks are fabulous! They keep the warmth in and the moisture out to help keep my feet warm and dry all day. Pros: Warm all day. Wicking keeps you dry. The fit of this sock is one of its best features. Comfortable around your calf and can be worn for hours. Great sock, made in the USA and guaranteed for life! Highly recommend, warmth, dry and all at a great price.